As much as I love the Acer Predator XB241H, I appreciate that not everyone has close to £400 / $400 to spend on a 24in 1920×1080 gaming monitor. Fortunately, there are plenty of other 24in screens out there that cost a heck of a lot less. 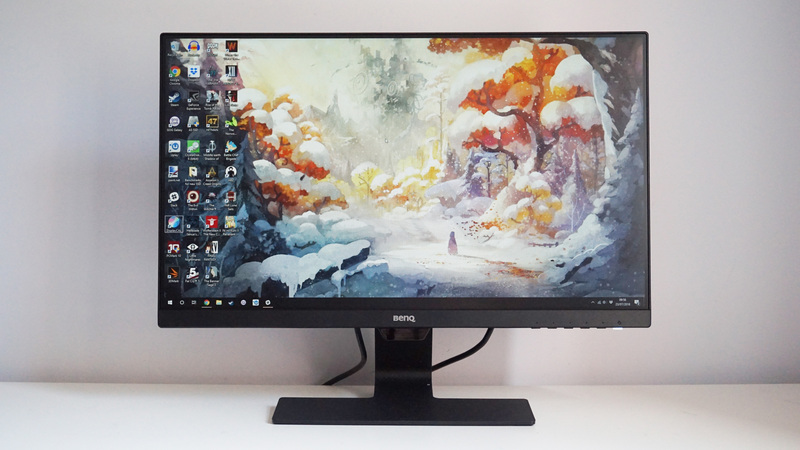 Case in point: BenQ’s GW2480 goes for just £123 / $150. What’s more, it also looks way less ‘gamery’ than a lot of the other top dogs in our best gaming monitor rankings. Let’s find out if it’s any good. First impressions were certainly high. Before I set about testing it with my X-Rite i1 DisplayPro calibrator, I was surprised by the richness of its colours and its all right-looking contrast and detail levels. Great, I thought. 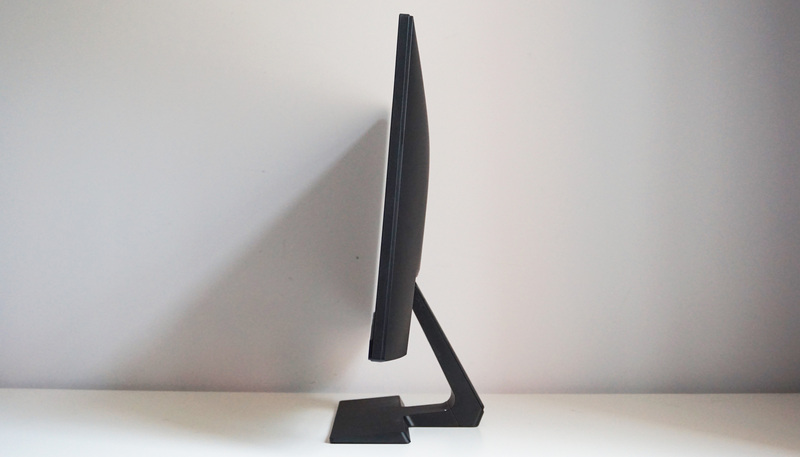 A nice cheap IPS monitor that might actually be pretty decent. Admittedly, it doesn’t come with any of the frills you might expect from your typical gaming monitor. 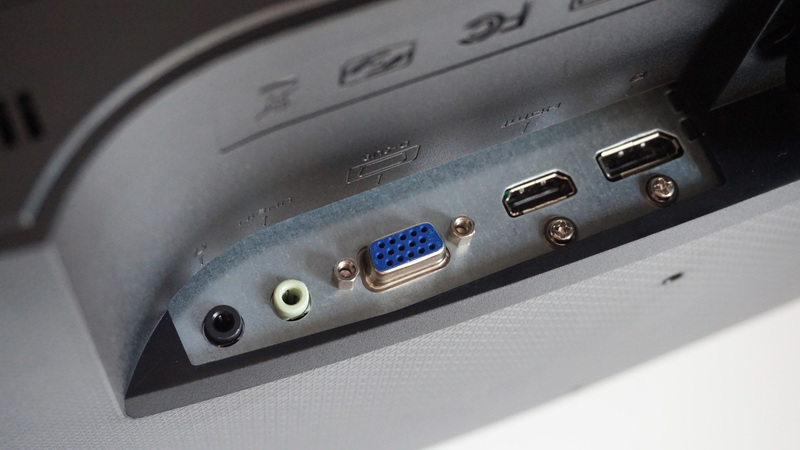 There’s no AMD FreeSync or Nvidia G-Sync support for your graphics cards, for instance, and its ports are limited to single VGA, HDMI and DisplayPort inputs as well as separate headphone and microphone jacks. You do get all of BenQ’s various eye-care features, however, making it a good choice for all that other stuff you might use a PC for like, say, looking at this here internet site and maybe composing the odd word document. Indeed, the GW2480’s flicker-free display will definitely help cut down on the old eye-strain if, like me, you sit staring at a computer screen for 90% of your working day, and its multiple low blue light picture modes will help keep any pesky headaches at bay even further. There’s also a dynamic brightness sensor that sticks out of the lower bezel which can monitor the amount of ambient light in your surroundings. This will then automatically adjust the screen’s colour temperature for maximum viewing comfort, turning warmer in the evening when there’s less light around, and cooler in the morning. It certainly takes the hassle out of constantly flipping between different picture modes, and it works like an absolute dream. It’s all the same stuff you’ll find on many of BenQ’s other monitors, such as the EW277HDR and EL2870U. It’s just a shame the GW2480’s colour accuracy isn’t as good. No matter how hard I tried, the best sRGB colour gamut measurement I could get out of my i1 DisplayPro was 88.5%, and that was using its default Standard picture profile and normal colour temperature setting. Fiddling around with its User picture mode and adjusting the monitor’s RGB values only made things worse – not by much, all told, but you’re only looking at 87.1% here. That’s pretty disappointing for an IPS screen, especially when exceptional colour accuracy is meant to be this particular type of display technology’s main calling card. Its contrast ratio was even worse, coming in at a measly 169:1 on its default settings, and a mere 310:1 when I whacked up its gamma option to its highest setting. That’s a far cry from BenQ’s claimed figure of 1000:1, which is what I’d normally expect to see on a display like this. What this means in practice is that very dark games such as Little Nightmares, for instance, just ended up looking like a bleary mass of grey when I booted it up, with hardly any visible shadow detail. It’s less of an issue in brighter, more colourful games – as my time playing Ni No Kuni II can attest – but things like draw distances in the game’s caves and caverns were still a bit on the misty side. This isn’t helped, of course, by the GW2480’s astronomically high black level measurement, which came in at a massive 1.28cd/m2. True black is 0.00cd/m2, and while most monitors can’t actually do this due to the nature of their backlights, the vast majority of them still manage something in the region of 0.10cd/m2, if not a bit lower. Sometimes I’ll see black levels go as high as 0.50cd/m2., but usually that’s as far as they go, making the GW2480 very underwhelming indeed. The monitor’s maximum peak brightness wasn’t particularly amazing, either. The GW2480 managed just 220cd/m2 on its highest setting, which is just about enough if you happen to be sitting by a bright, sunlit window, but a teensy bit more leeway wouldn’t go amiss. In all fairness, the GW2480 looks fine in most cases – it’s not like you’re going to recoil in horror at its mildly limp and lifeless colours as soon as you turn it on (unless your entire game collection happens to consist of murky Little Nightmares-alikes, that is) – and for the money, it may well be worth a punt as a cheap second screen. But you also don’t have to spend that much more to get an infinitely better display. Indeed, BenQ’s larger EW277HDR goes for just £200 in the UK (it’s US price of $260 is a slightly harder sell), and it’s not only much more colour accurate than the GW2480, but you’re also getting HDR support thrown in as well – although it should be noted its HDR experience is tempered somewhat by the screen’s peak brightness of 400cd/m2. You get the same smart, ultra-thin bezels and eye-care tech as well. The only thing you’re missing is a DisplayPort input. If a 24in screen is all you’ve got room for, though, then you should really consider getting AOC’s G2460PF, which goes for a fraction more at £220 in the UK, but a much more tempting $198 in the US. This is about to be replaced by the G2590PX (which has just arrived in my box palace for testing, by the way, so watch out for a full review soon), but both models offer AMD FreeSync support, a height-adjustable stand, more inputs, a USB hub, and a wonderfully high 144Hz refresh rate. I’ve yet to put the G2590PX through my colour accuracy tests, but if it’s anything like the G2460PF’s, then it should be one of the best 24in gaming displays money can buy right now. The BenQ GW2480 will just about do the job for those on a budget, but it’s nowhere near as good value as BenQ’s EW277HDR or AOC’s G2460PF. Tagged with BenQ, feature, Hardware, Monitors.